We couldn’t ignore the little voice in the back of our head asking the question. It was shortly after the Hot Wheels expansion for Forza Horizon 3 had launched. We called the game “a big breath of fresh air” in the GTPlanet review in September 2016, and after the second expansion, it didn’t seem like there was much more for Playground Games to do with the open-world racer genre. Turns out, we weren’t alone. Creative Director Ralph Fulton admitted to thinking the same thing when we sat down for a chat earlier this month. 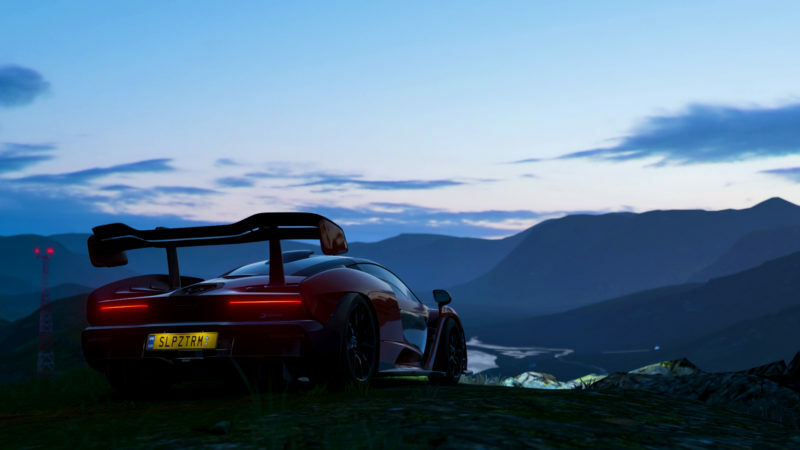 But after what he called an “organic and serendipitous“ crossroads that saw the team zero in on not only a full calendar’s worth of seasons, but its home of Britain, Forza Horizon 4 has emerged. The competition has moved on since that last game. 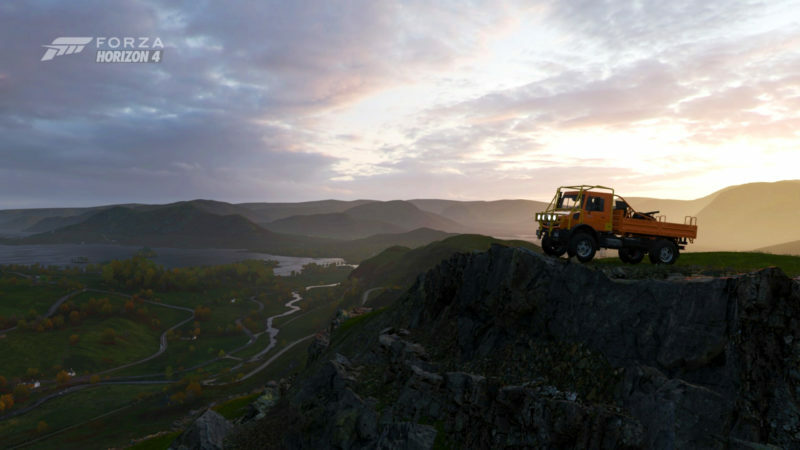 Has the team — newly minted as a first-party dev — kept the lead with Horizon 4? Let us answer that with another question: is a Chiron fast? 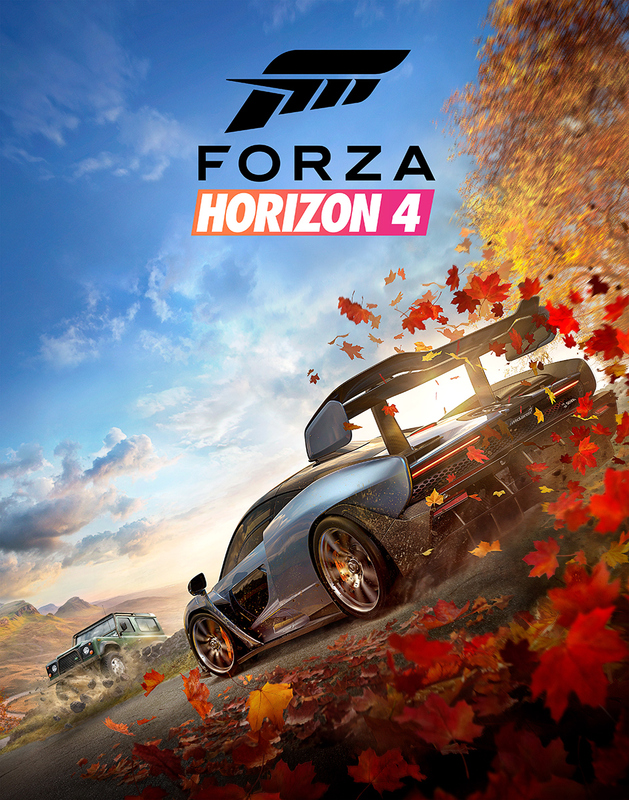 Forza Horizon 4 releases Tuesday, October 2, on Xbox One and PC (or September 28 for the Ultimate Edition). Playground Games provided a pre-release version of the game for review on Xbox. I played it on Xbox One X, with both a pad and the Fanatec CSL Elite PS4 wheel (with P1 Elite rim). This review is a collaborative effort. While I wrote most of it, Michael contributed his thoughts and took care of the Sound Design portion. Like a good friend deftly introducing you to a party full of people you don’t know, Horizon 4 eases you in. 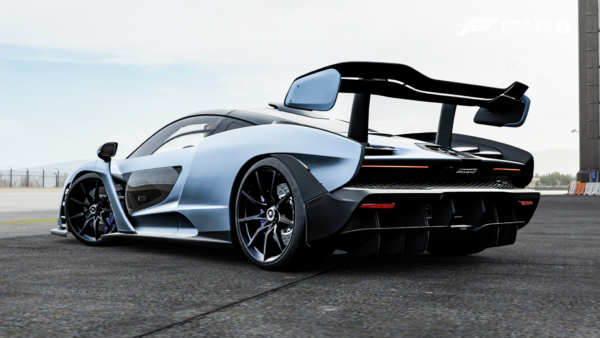 The game starts the same way any of the previous ones have: you take a cover star — in this case, the McLaren Senna — on a drive across the map to the festival location. Last time around, Playground introduced multiple vehicles in the introduction to Australia. It keeps that approach alive here, but now drops players into a new season with each car change. It’s an effective way to show off the game’s centerpiece feature. You end with a British summer, and must choose from three rides to start your career. I eschew modern metal (a TT-S and Focus RS) to go with classic muscle in the shape of a ’60s Dodge Charger. It’s only now, as the first handful of events dot the map, that I realize its scale. Playground’s Greatest Hits version of the United Kingdom is roughly the same size as Australia was in FH3, but it feels denser. There are more roads to discover, which seems to bear this out. 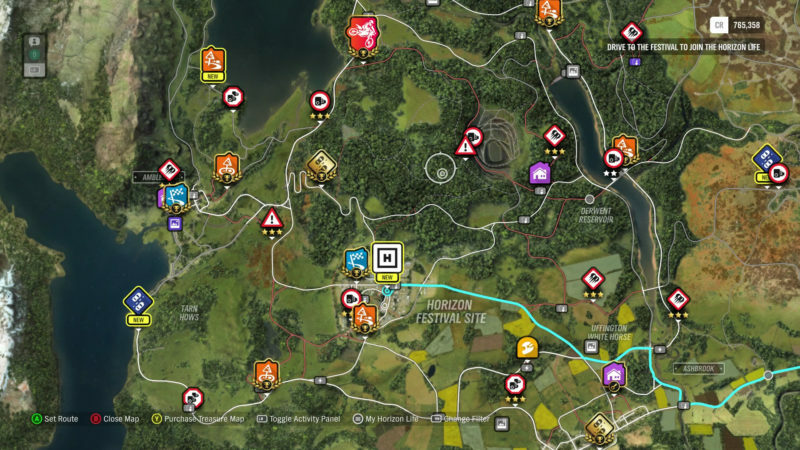 After only a few events, the map is quickly dotted with colorful markers for many more. Early on, FH4 introduces you to a handful of different racing series: road racing, cross country, and dirt. Soon after you’ve taken up a job as a movie stunt driver, or raced a hovercraft, or jumped your car over a river to smash a Danger Sign goal. There’s so much to do in this game, and that’s just in the first season. Regardless of what you pick, or even just by pulling off stunts in free roam, you will accrue Influence. This is essentially XP in FH4, acting as the main measure of progression. Not only do you earn it for driving, but you’ll gain Influence by painting, sharing photos, and either watching/streaming the game itself. Pick anything or everything: there are no wrong answers here. Once you’ve progressed from summer to autumn, the AI drivers that have populated the roads swap out for real people. These folks are in the same chapter of the game as you are, and by default will ghost when you get close to avoid griefing. You can choose to join up in convoys to cruise or complete events, at which point normal collisions are active. By the end of a short four-seasons jaunt (figure 4–6 hours), the game drops you into a synchronized weekly season schedule. The others aren’t completely locked away: you can always revisit winter via Blueprint events, for example. But otherwise, all players will see the same world as each other while roaming, with a switchover point coming along each Thursday. Back to that map: what it doesn’t convey is the verticality of Britain here. Never before has a Horizon game let you climb like this. I scale Glen Rannoch — in an appropriate vehicle — and can see for miles (and miles, and miles). The area itself provides plenty of fun driving both on- and off-road, which is why I buy my first house here. 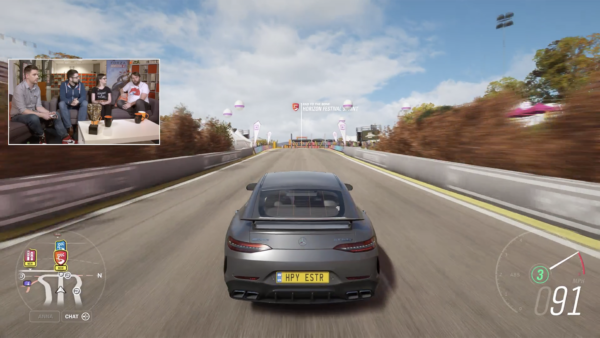 Houses are another new feature in Horizon 4. Players can buy multiple ones, and each comes with a perk of some form. They range from cheap (my farm is a steal at 200,000 Cr) to the single most expensive purchase in the game. Edinburgh Castle runs you a monstrous 15,000,000 Cr, though it does provide you with an otherwise unavailable Alfa Romeo and 10 Super Wheelspins (or 30 prize opportunities). It’s not all rosy. 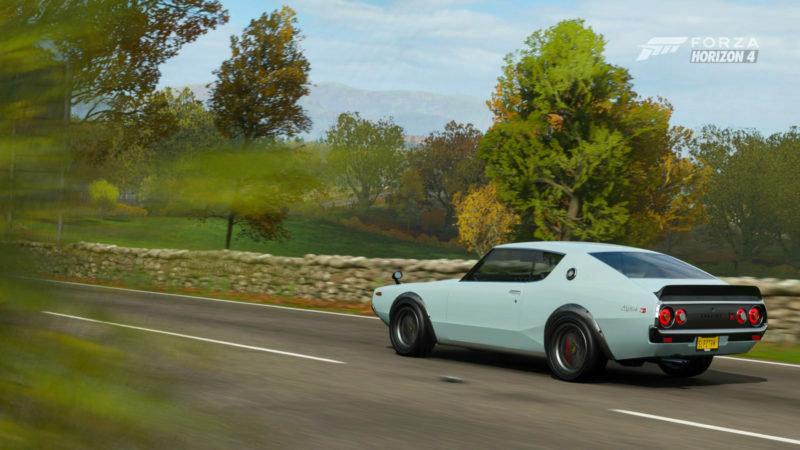 There are two main issues that crop up during my time with FH4. Firstly, the menus are a bit of a mess. I recognize the Windows-style tile approach is a mainstay of the franchise, but there’s no hierarchy, instead relying on players to memorize locations of things like the decal editor. Admittedly, this is partially down to the sheer volume of stuff, and like any game, familiarity will come. But it’s not particularly inviting. The other small fly in the ointment is the lack of certain marques. Toyota is still off the table, apparently learning all the wrong lessons from the old Porsche/EA exclusivity deal. Mitsubishi joins its Japanese compatriots, though we’d argue that’s less of an issue, given the brand was essentially buoyed by a single vehicle (and, unlike Toyota, has little on the horizon to change that impression). Rolls-Royce may not matter to some, but considering the UK setting, it does sting to see the epitome of British waftiness absent. 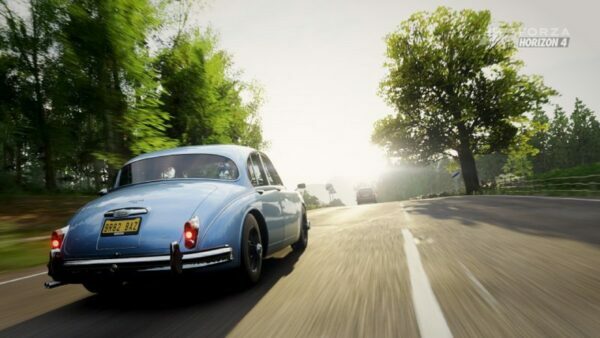 Luckily, FH4 still has nearly 500 cars for players to explore the United Kingdom with. As you’d expect of an iterative franchise, a good chunk of the list is familiar from previous games. Bolstering it is a wide spread of cars, plenty of which have an important place in British motoring history. There’s the adorable little Peel P50 — the world’s smallest car — in all of its 4hp glory. Classic British roadsters from Austin-Healey and Triumph show up, as well as the monstrous TVR Speed 12. On the other end of the spectrum, we have the enormous Mercedes Unimog. The ‘Mog dwarves everything it comes into contact with, including the most powerful vehicle in the game, the 2,400hp Volvo Iron Knight. These disparate rides all emphasize the Horizon mindset: it celebrates the automobile in all forms. In the best way possible, Forza Horizon 4 will induce a state of automotive ADD. You’ll set yourself a goal at one end of the map and find five separate distractions on the way there. No wonder the Route Creator is coming a few weeks after launch! Let’s talk about those seasonal changes. As mentioned above, once players finish their first, shortened “year”, they’ll find themselves on synchronized servers, with weekly seasonal changes. These happen every Thursday, and they change what you’ll be able to do for the week. This isn’t an always-online game, though. You have the option to play offline, and the usual Drivatar approach applies then. Going offline means you miss out on a lot of social activities however, including a revamped Forzathon approach. Daily and weekly challenges regularly rotate in, each offering Forzathon Points once complete. 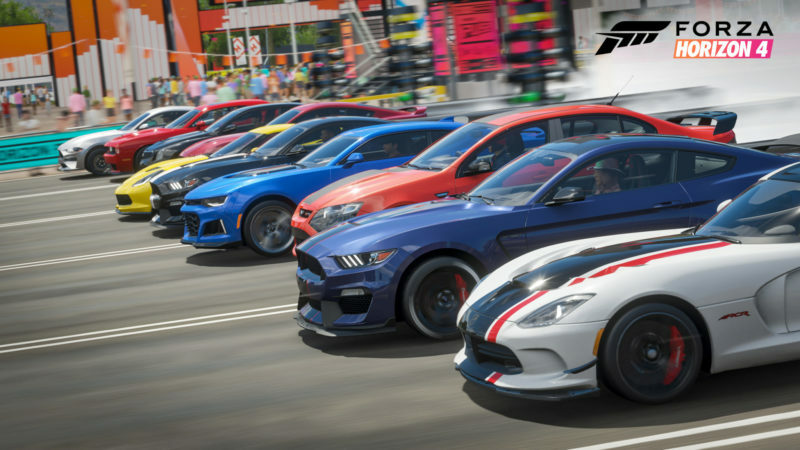 A new Forzathon shop has a weekly stock list, letting players pick and choose what they want to aim for. Better yet, at least during my review period, there’s zero exclusive content in the shop. The Forza Edition Bentley Conti and Aston Martin DB5 are both available elsewhere in the game. Playing online gives you access to hourly Forzathon Live events. Drive into the designated area and at the top of the hour a Live event will kick off. Each one features three stages, and all the players that are taking part are working together to hit a cumulative goal. Maybe it’s a speed trap with a goal of 5,000mph. Maybe the group needs to pull off a certain amount of drift skills in an area. Each time is different. It’s a great way to encourage players to interact. You’ll spot a cool car doing one of the challenges and maybe that will spark a conversation. The auto-ghosting is a bit of an immersion killer, but at the same time, it’d be utter madness if up to 12 cars were all trying to get a clean run through a speed trap at once. Online racing comes courtesy of the Team Adventures tab. Races can vary in type, from straight laps to checkpoint-based events, or an A-to-B style that lets players decide their course from beginning to end. There’s also the usual King, Survival, and Flag Rush playground games, and a raft of Rivals events for every route in the game. Unranked races divide players into teams. For every player from the opposing team you finish ahead of, you earn 100 points for your team. It’s a style that Playground has utilized before, and it’s welcome in the sense that it makes every player feel more like a part of the result, as opposed to just the podium players. Those with a more competitive side can enter Ranked matches. These unlock after a few Unranked events, and function in a similar way to the Leagues in Motorsport 7. Each month players can work their way up the leaderboards earning prizes along the way. The Creative Hub is the hive of the Horizon 4 social experience. Here players can share Blueprints, designs, tunes, and photos. You can follow others to keep track of all their creations too. 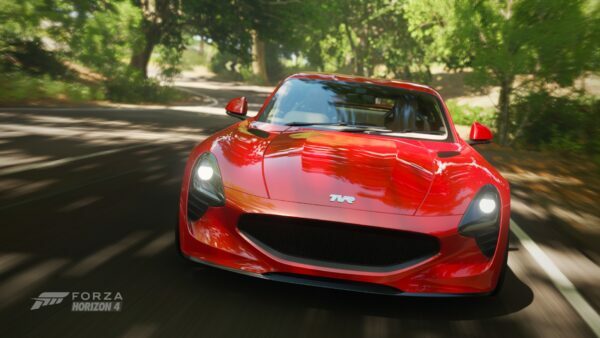 Horizon 4 feels great to drive. As ever with the Forza games, its easy to get comfortable with a pad, the Xbox controller’s rumbly triggers making it a cinch to measure out throttle and brake applications. On the CSL, there’s little feedback during oversteer moments, though it’s a much different story for overland runs. Get off the road and you’ll need to keep a firm hand on the rim. For the first time in a Horizon title, Playground is modeling not only surface temps but also their conductivity. This gives the tires vastly different characters across the seasons, and even subtle changes from day to night. It’s just enough for sim racers to pick up on, but faint enough to not scare away folks that don’t look up spring rates in their spare time. Helping matters are additional tire compounds. The most notable is a new vintage race car tire. It offers more grip than the stock rubber on most muscle cars, but eschews the zero-tread, low-sidewall approach of the modern race tire. Sure, you won’t be able to match the outright grip levels of the new stuff either, but now you can build a period-correct racer instead of a resto-mod. Four seasons plus variable weather means players will encounter all manner of surfaces. 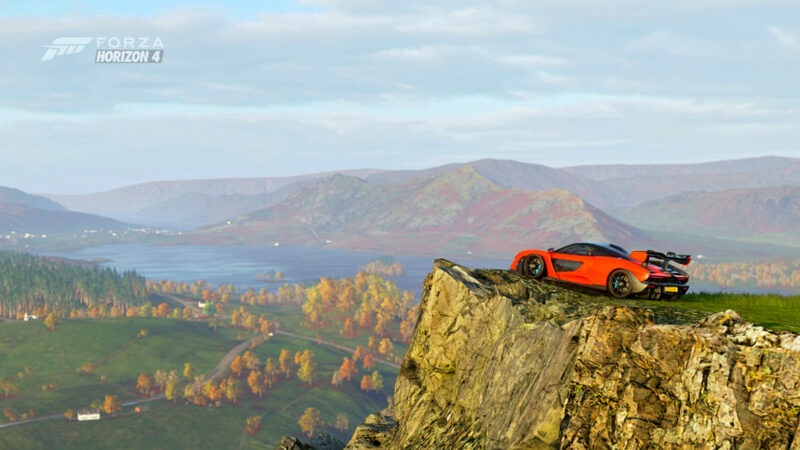 This is where FH4 makes the biggest jump over its predecessor. 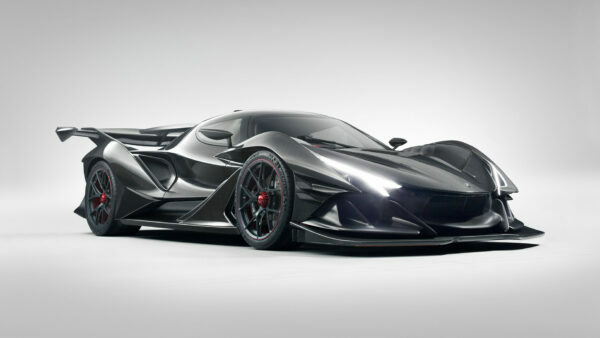 Australia’s topography allowed the less imaginative amongst us to simply load up a hypercar with as much turbo power as it could make, point it in roughly the same direction as our target, and bury the throttle. Hey, we did it too. No longer. Deep mud in the autumn has our Senna struggling to hit double digits up a small hill. Fling it across a field and you may as well start a countdown for when it’s inevitably facing the wrong way. It’s not itching to be an Assetto Corsa competitor, but those that dismiss FH4 as a simple point-and-shoot arcade racer do so at their own loss. It takes skill to be truly fast in this game, with a depth to the physics engine that’s in a whole other zip code to The Crew or Need for Speed. We’re glad to report that those seeking on-road thrills should find this map more enjoyable than the last too. 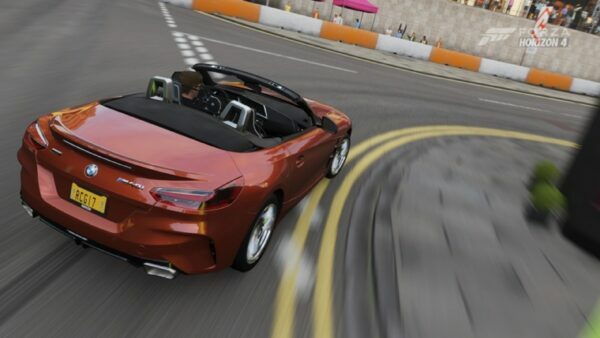 The E3 demo may have initially (and understandably) caused some concern for overly-wide roads. They do exist, though they’re largely the main arteries in the Horizon’s Britain. Head off the A-roads and there are some satisfying twisties to master. It’s hard to believe how far FH4 moves the game on from its predecessor. Horizon 3 was only two years ago, after all. But man has Playground put in work. This is an insanely pretty game, and it’s that way across the board, regardless of platform. Each season has its own unique character, not just the obvious surface-level stuff but the lighting as well. There’s a difference between the way the sun bounces off the surroundings in the early morning of winter versus summer. The skies provide everything from visually arresting sunsets to intimidating armadas of clouds. The setting itself allows Playground to flex its muscles too. There’s so much variety on offer in the UK in terms of landscape, foliage, and even animals. (Let’s not even talk about the ever-elusive sheep in this game.) Edinburgh is a dense metropolis standing in stark contrast to the natural beauty of Glen Rannoch. Car models all benefit from the improved lighting. Truth be told, Forza’s car models have long been some of the best in the business (outside of a handful of very old assets, like the R32 Skyline), but it’s been the lighting that’s dulled their impact. This is the case no longer. Naturally, winter provides the most eye candy. Snow deforms as you head off-road, and blizzards make it genuinely difficult to even see what’s coming up. Xbox One X players have two graphical options for the game. Quality gives you 4K at the usual 30fps, while Performance doubles the frame rate and sticks to 1080p. We keep to the latter for most of our time with the game simply because the smoothness in the open world is stunning. By now, you know what to expect from a Forza title when it comes to sound design. Horizon has always been one to take on a more visceral approach in this regard, and FH4 leads by example. We’d wager audio contributes more to the experience than one might realize, at least at first. Even coasting down the streets of Edinburgh, there’s so much to take in in so little time. Whether it be driving alongside the tram, or working your way through traffic — there’s always something going on. As expected, weather only adds to the equation as well. Hearing your tires screech as your car loses grip in the pouring rain is an immersive experience. Rain droplets beating down on your chosen car is something you’ll grow to appreciate. There’s an ambiance that no other Horizon game has been able to nail down before now. Then there are the four seasons. Each one a different audio experience unto itself. Fall is perhaps one of our favorites. If you were to stop and take in the sights and sounds, we’re willing to bet you’ll notice quite a few things going on. The sound of the trees swaying in the wind adds to the living, breathing world the game sits in. Doubling down, driving over a carpet of leaves will kick a few into the air, making the faintest rustling sound. Two things synonymous with the season and it’s on display in the fourth game for all to see. 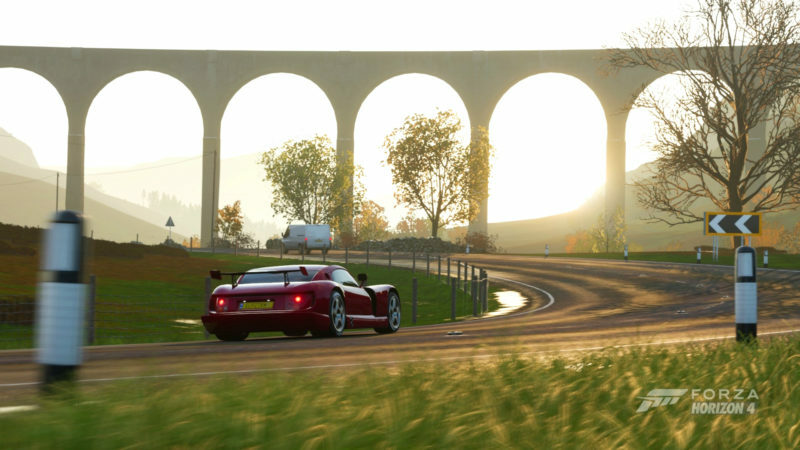 It’s all poetic, but sound design contributes a lot to FH4’s already impressive package. Music is another factor adding to the experience as well. With so much to choose from, there’s something to make your drive that much more enjoyable. Timeless FM is one of our favorites — there’s nothing wrong with classing up your drive. Bonus points if you’re wearing a suit and putting on your best James Bond impression. Then, of course, there are the stars of the game: the cars. It goes without saying the cars are at the forefront here, and they won’t disappoint. There’s the usual burbles, grunts, and pops, but we couldn’t help but notice more this time around. Take the Jaguar E Type for example. The perfect car for a leisurely cruise around Britain. Coasting through the gears allows the inline-six to purr. There’s a subtle, yet thunderous note that comes into play in the higher rpm ranges. The hero car, the McLaren Senna on the other hand, is pure, unadulterated grunt. There’s no savoring the moment here: you’ll want to charge forward undeterred. Trust us, there’s no other way. 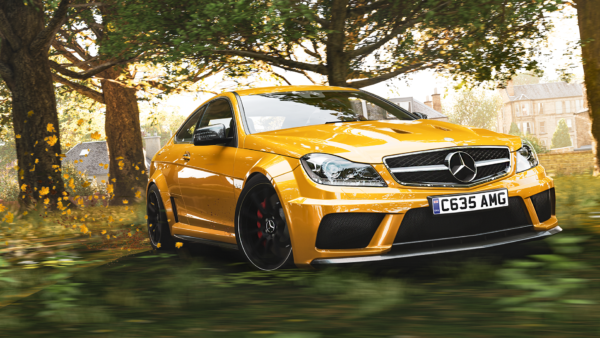 It’s hard not to like Horizon 4. This is a game that wears its love for all things automotive on its sleeve. What’s more, it wants you to be involved. The puppy-like sense of enthusiasm to get out there and have fun is equal parts endearing and intoxicating. Playground has achieved an increasingly unlikely feat. Since inception, the Horizon franchise has gotten better with each iteration. 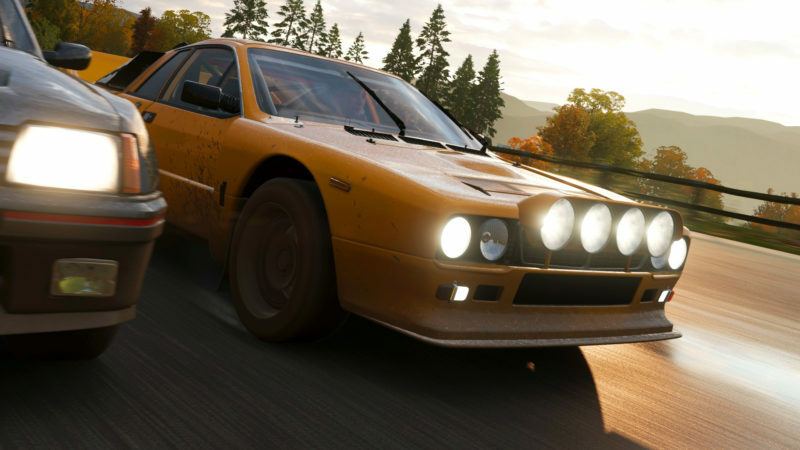 Horizon 4 continues that trend, building on the do-it-your-way approach that FH3 started. There are myriad avenues to investigate, and that’s set to expand exponentially with the Route Creator. 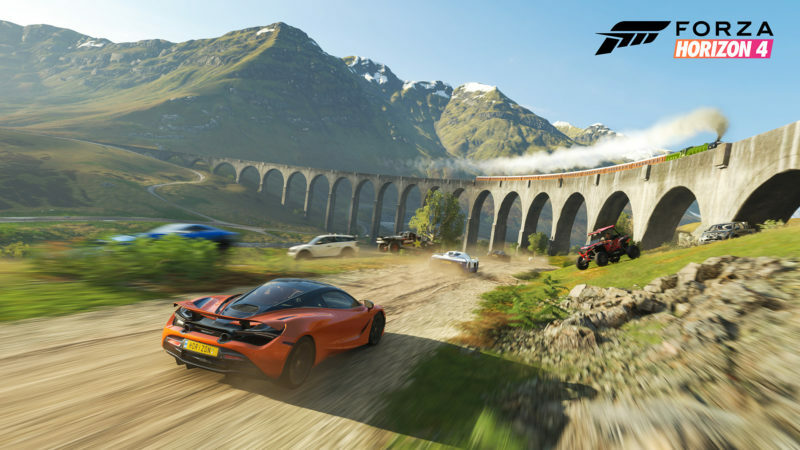 Like the classic racing games FH4 thoughtfully pays tribute to in one of its story campaigns, this is a title that will turn people into automotive enthusiasts. Building your very own take on a favorite model and taking it for a cruise along British backroads never gets dull. 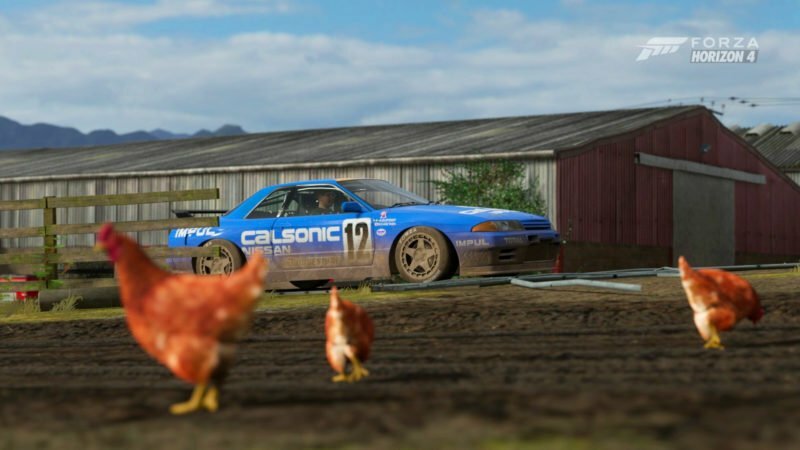 An exemplary racing game with huge appeal for car nerds and gamers alike. Lost marques can’t outweigh the positives here: an absolutely huge game to get lost in. Synchronized online servers put everybody in the same season on a weekly basis. You can complete the entire campaign with friends or solo. 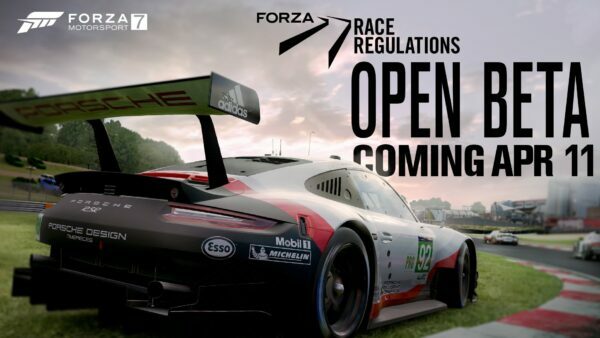 Plenty of shareable content, plus the traditional racing/playground events. There’s more going on under the hood than you’d think. Deeper, more nuanced handling than FH3 (and the competition), with consistent responses making it easy for driving game novices to learn the ropes. This is a true feast for the eyes. It’s taken a long time, but Driveclub has lost the visual crown in the arcade racer category. Ambient noises bring Britain to life in a way that we haven’t seen before.